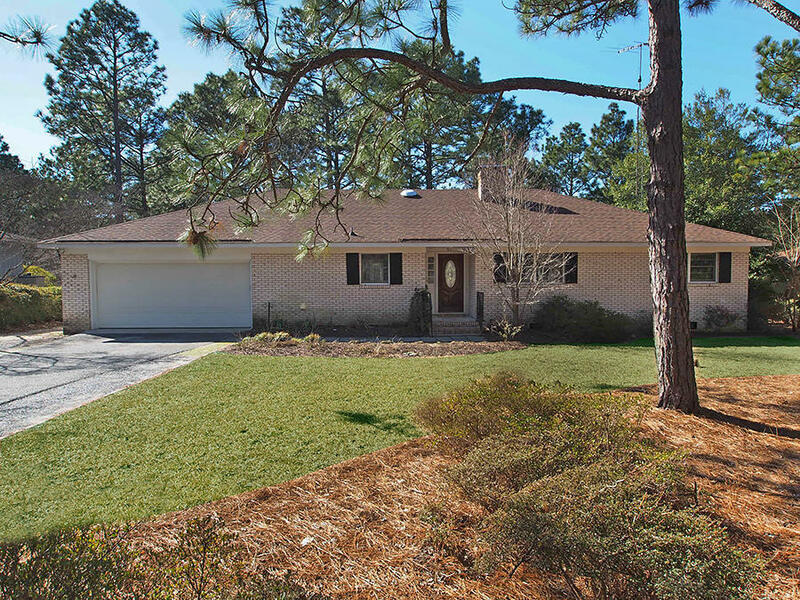 Lovely brick home located on the 11th green of the Whispering Pines CC neighborhood and an extremely convenient location minutes from Downtown Southern Pines or Pinehurst, plus a wonderful School District too. This home features 3 bedrooms, 2.5 bathrooms, a spacious living room with a wood burning fireplace, a remodeled kitchen with granite counter tops, stainless steel appliances, & breakfast bar; a dining room, a Carolina room, a remodeled master bathroom, and features fresh interior paint, beautiful wood & tile flooring throughout the home, a laundry room with extra storage cabinets, terrific outdoor patio, a two car garage with a separate large workshop & golf cart storage plus a storage room & attic too. Home offers a huge fenced in backyard overseeing terrific water and golf views.